ELAM (Latin American School of Medicine), Cuba. ELAM (Latin American School of Medicine), Cuba was established in 1999 and is operated by the Cuban government. It is regarded as one of the largest medical schools in the world and a prominent part of Cuban healthcare system. Since its first class of 2005, ELAM has graduated tens of thousands of physicians from low-income communities. Mostly enrolled are international students from outside Cuba and mainly come from Latin America and the Caribbean as well as United States, Africa and Asia. 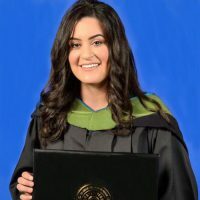 ELAM’s motto is simple: “To provide free medical education to bright students who are passionate about becoming doctors, but lack the financial means to do so and this will drive them to return to serve in communities like their own”. Tuition, accommodation and board are free, and a small stipend is provided for students. 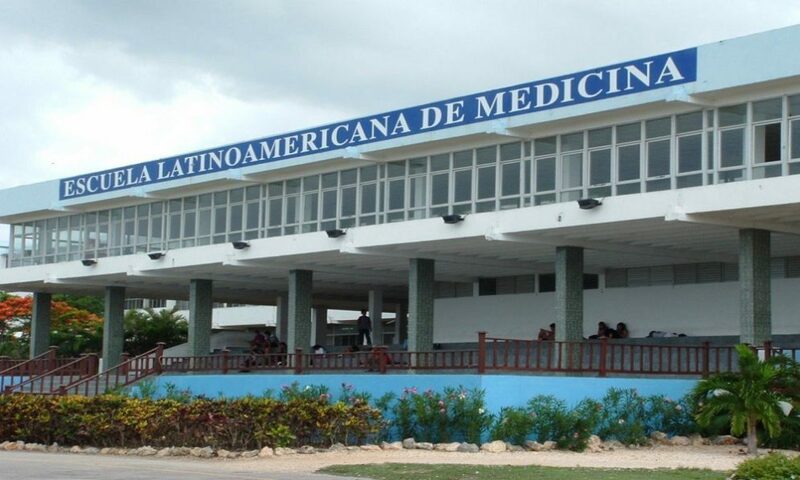 The Cuban government offers new students annual entry to the Latin American Medical School. The application for ELAM is submitted processed through the accredited Cuban diplomatic missions in the student's home country. The Cuban Embassy provides authentic information about medical programs in Cuba. The application process is structured in such a way that it gives opportunities to people from economically disadvantaged families. To get into the university, the following requirements should be met. One of these two documents should come with the stamp of the Ministry of Education from your country, or International Relations Department from your country, or Cuban in embassy in your country. Certificate of Health including HIV test and pregnancy test. Age should not exceed 25 years at the time of enrollment. Be physically and mentally fit to pursue medical studies. To be considered for the US scholarship program, applicants must be US citizens (with a US passport), between the ages of 18 and 25, with proficiency in college-level sciences, and a commitment to practice medicine in low-income and medically underserved communities in the US after graduation. IFCO’s Medical School Advisory Committee, which constitutes physicians, professors, and other professionals, screens the applications. Selected applicants are invited to a two-day group orientation program, which is an additional step in the screening process. When the Medical School Advisory Committee has made its final decisions, the files of selected applicants are submitted to the administrators of the Latin American Medical School and the Cuban Ministry of Public Health; who can make the final admissions decisions. The regular course of study at ELAM is seven years. An additional semester of pre-med coursework is mandatory for all students. The course of study for the seven year program starts in September. The additional Spanish intensive course and the pre-med courses are offered in the fall and spring semester respectively. In terms of content, the Cuban medical curriculum is parallels with how medicine is taught in the US. The teaching style, however, is not the same. The Cuban schools emphasize cooperative rather than competitive learning that means ELAM has smaller class (in terms of size), frequent oral exams, and incorporates intensive tutoring to help all students succeed. All students spend their first three years of study on ELAM’s campus. During these years, the curriculum focuses on the basic medical sciences, and includes some practicum opportunities in neighborhood clinics. The first year students have to follow an innovative plan called “morpho-physiology,” which assimilates various basic sciences to augment learning. From third year onwards, students are located at one of Cuba’s 21 teaching hospitals. In these advanced years of study, classroom and laboratory studies are reinforced through supervised clinical practicum work on the hospital wards. The sixth year of medical study is the internship year. This is when students complete rotations in internal medicine, pediatrics, obstetrics/gynecology, surgery, and general medicine. How good does my Spanish have to be to study medicine in ELAM? The Latin American School of Medicine offers education in Spanish. However, it intensively teaches Spanish language to students who come to the program with little or no Spanish understanding for a semester. The Spanish course is offered in the fall semester. Pre-medical students will also receive Spanish classes while they are taking their pre-med courses. What is the level of Spanish language that is taught in ELAM? Spanish language knowledge involves more than just casual conversational skills. Students are taught to be sufficiently fluent in medical terminology in Spanish so that they can effectively ask, answer and understand questions in Spanish. Does the Latin American School of Medicine accept transfer students? Yes, it does but for this the evaluations are done on a case-by-case basis, and involve detailed analysis of the students’ prior coursework by the faculty of the Latin American School of Medicine. But the basic requirements hold, mainly the age bracket i.e. the candidate’s age should be 18-25. The scholarship constitutes full tuition, hostel expenses, meals (three per day) at the campus cafeteria, textbooks (in Spanish) for all courses, and a small monthly stipend in Cuban pesos, school uniform. The scholarship does not include travel expenditures to and from the university; the fees for taking the USMLE exams or costs for supplemental English-language textbooks. In order to practice medicine in the US, students at the Latin American School of Medicine need to pass a series of US Medical Licensing Exams (USMLEs). These exams are required for all US students who studies in any medical school, whether in the US or in another country. How are Exams given in ELAM? Oral exams are given frequently in most classes. Mid-term and final examinations are written and are taken in all courses. Students who don’t pass a final exam on the first try are given two more weeks to study and then can retake the exam. Students who don’t pass the in the first chance are able to retake the exam one more time in early August. Students who fail in two or more chances has to repeat the entire academic year. This option to repeat an academic year can only be used once in the six-year course of study. Is the Latin American School of Medicine recognized Internationally? The Latin American School of Medicine is fully accredited by the World Health Organization (WHO). World Health Organization is the recognized body which grants accreditation to all international medical schools. The ELAM is also fully recognized by USA’s Educational Commission for Foreign Medical Graduates (ECFMG) and the Medical Board of California. Where can I get supplemental English language medical textbooks? Interreligious Foundation for Community Organization/IFCO has provided a small library of supplementary English-language medical textbooks for the students from Non-Spanish speaking countries. A student can also buy them, but they become really costly to get so borrowing from a library is a good option. Campus life at the Latin American School of Medicine is an exciting and multi-cultural experience. Daily life is shared with students from more than 124 nations and the richness of this ethnic diversity is celebrated by the school. “Culture Night” galas are organized by student delegations from each nationality. It is a great way to showcase and share their own cultural traditions. How the Food and what is usually Served? Is food generally Expensive? Three meals are provided in a day, free of cost at the cafeteria. The food is very simple, the staple food is rice and beans. Snack bars and small restaurants are present on and off campus. They also offer economical meals. What should a student do if he has trouble in understanding Spanish, even after taking the mandatory course? Or if a student generally has difficulty in following a lecturer? Sometimes, a professor has so much knowledge but he/she is abysmal at delivering the lecture. Or for international students, they might become good at Spanish but still many are not comfortable to the level as they are with English. You should also see what other ways you can use to study better. 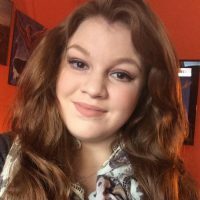 So, you should first look for some books related to your topic of interest. They are available in English or Spanish. You can request TA to help you with things you did not comprehend. But if you still feel like finding the right book among many is a difficult task and you have clashes with TA’s office hours or the TA is not as good at explaining. Then you should definitely consider learning online. For the price of one book, you can get access to medical video lectures, a common study aid among the Caribbean medical schools. You can get a lifetime access to the video lectures that teach you all your medical topics that are in your curriculum. A certified and professional doctor teaches all the topics with hand drawn illustrations. Everything is covered thoroughly in these lectures. One of the most recommended lectures are by Dr. Najeeb, whose video library covers almost all the topics included in current international medical curriculum (including ELAM), such as Gross Anatomy, Neuro-anatomy, Embryology, Histology, Physiology, Biochemistry, Genetics, Pharmacology, Microbiology, Immunology and Pathology. They will even help you again in your USMLEs. The best thing about this is that you can witch this as many times as you want, whenever and wherever. We never encourage missing classes, but if you have, these can really help you cover all of the syllabus up. How is the dormitory Life? Can there be any exceptions to accommodations in any situation? All students are required to live in the dormitories on campus during the first two years of study (and any pre-med semesters). After that, if students can afford they can make their personal residential arrangements. However, no special accommodations can be made for married students or for students who have children. Please note that NO exceptions are made to this rule. How will I communicate with my family and friends at home? Internet availability on campus is limited, since many students share access to the campus computing center, where they can sign up for computer time. Internet access is also available from certain hotels for an hourly fee. Phone cards can be bought for international calls. Cell phones are also available but generally very expensive to use. Yes! Students from all over the world except USA have always conveniently travelled to and from Cuba. Moreover, since under the Obama administration, travel restrictions for educational purposes have lightened and ELAM students from USA can now travel without the special authorization. So, it is also fully legal for US ELAM students to travel to and from school.